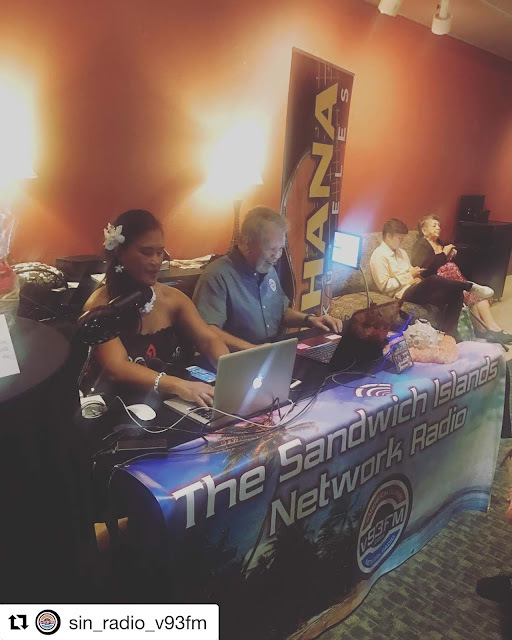 The Sandwich Islands Network Radio Krew attended Aina Creations' 2nd Annual Hoike at the La Mirada Terrace and Performing Arts Center in La Mirada, Calif. 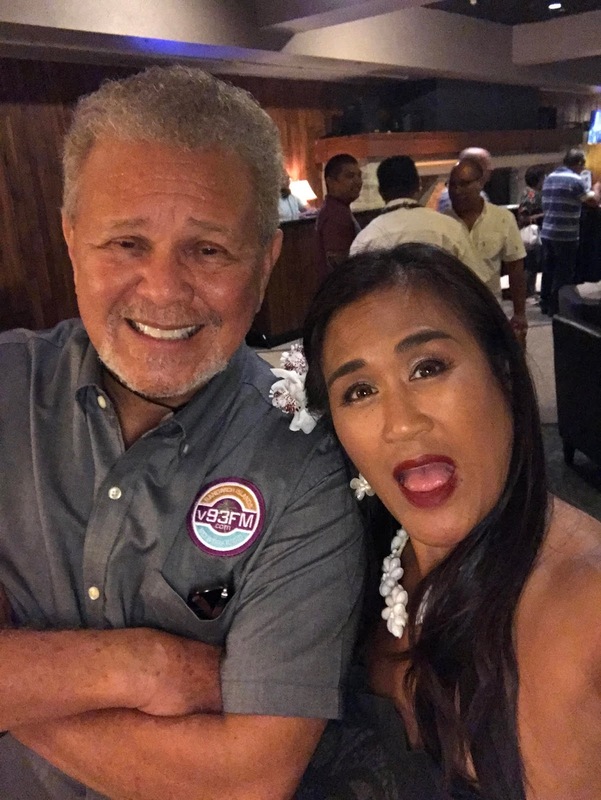 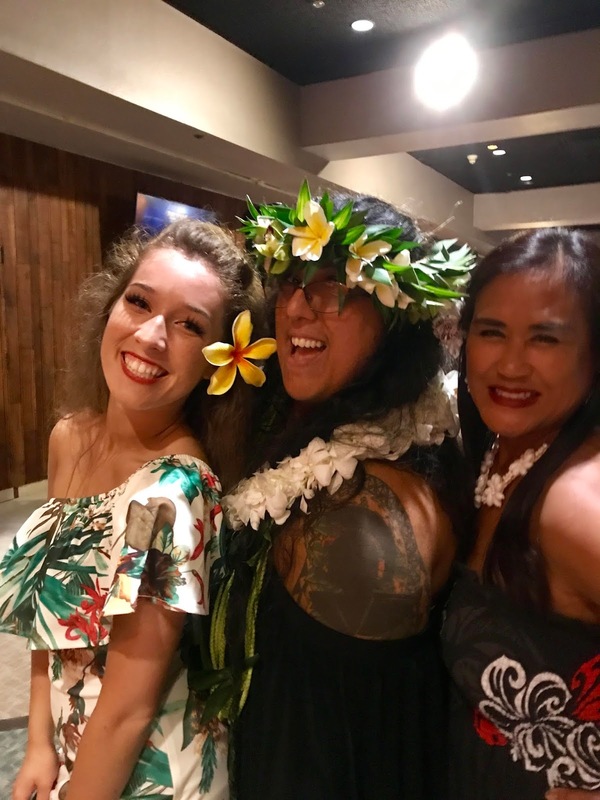 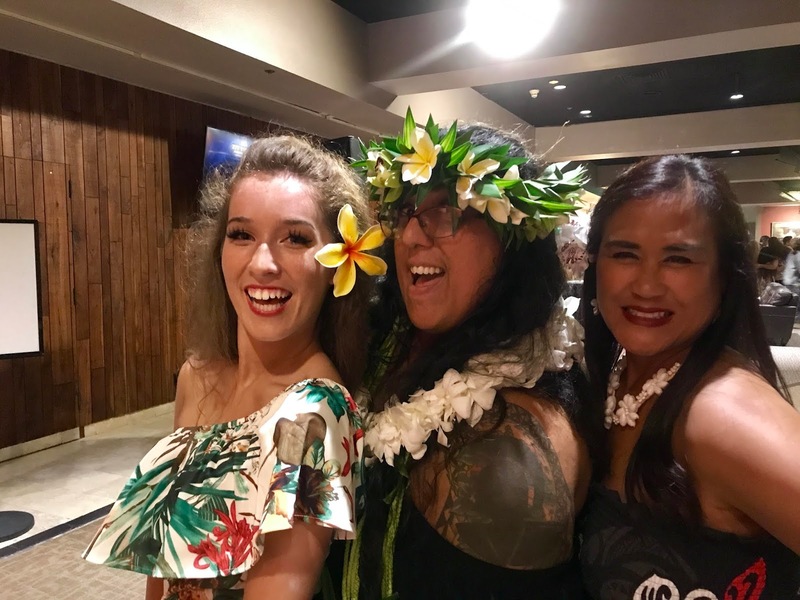 It was a wonderful night that took the audience on a tour of the Hawaiian Islands with stops in Tahiti and other neighboring Polynesian landmarks. 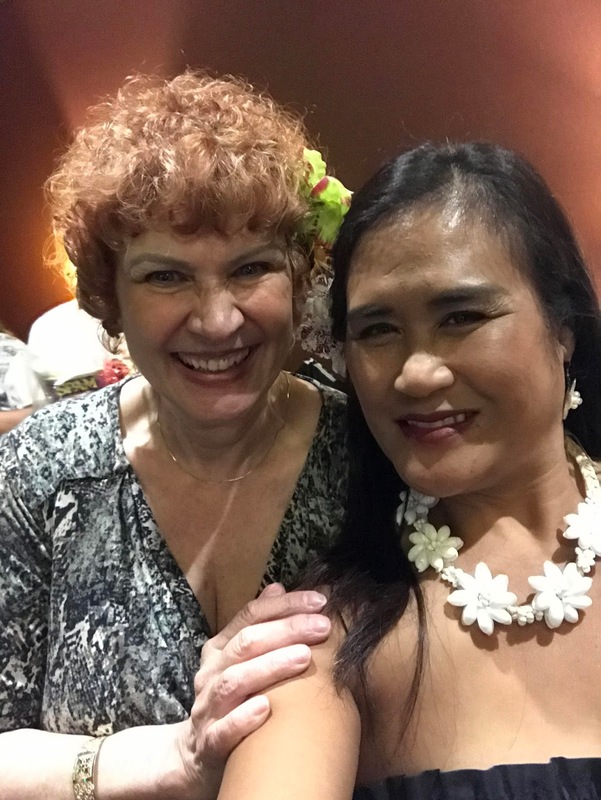 We are so proud of Aina Creations now known as Hālau Hula ʻo Kaʻanohiokalā, lead by Kumu Hula Tiana Price. 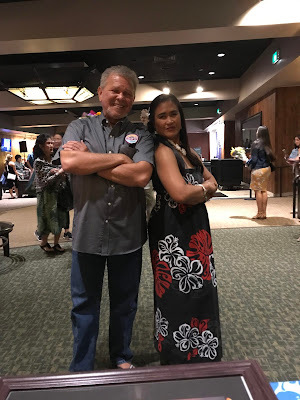 Me and Uncle Kamaka Brown broadcast a Facebook LIVE stream from the lobby of the La Mirada Terrace and Performing Arts Center during Aina Creations' 2nd Annual Hoike. 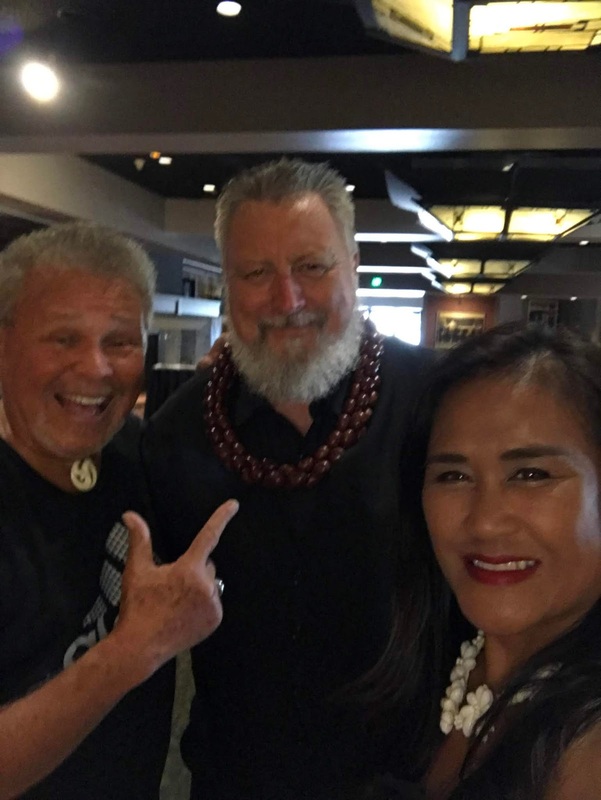 I smell trouble! 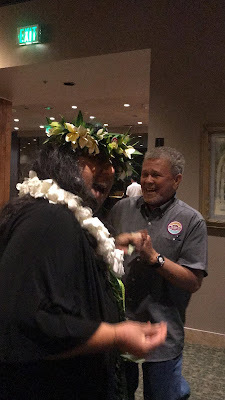 Uncle Kamaka Brown and I during intermission. 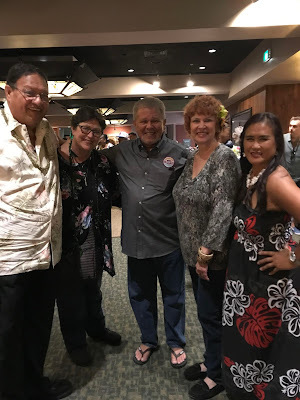 Uncle Bob and Auntie Judy Naluai, Uncle Kamaka Brown, Auntie Kaye Bennett and me. Me and Auntie Kaye up to no good, I'm sure! 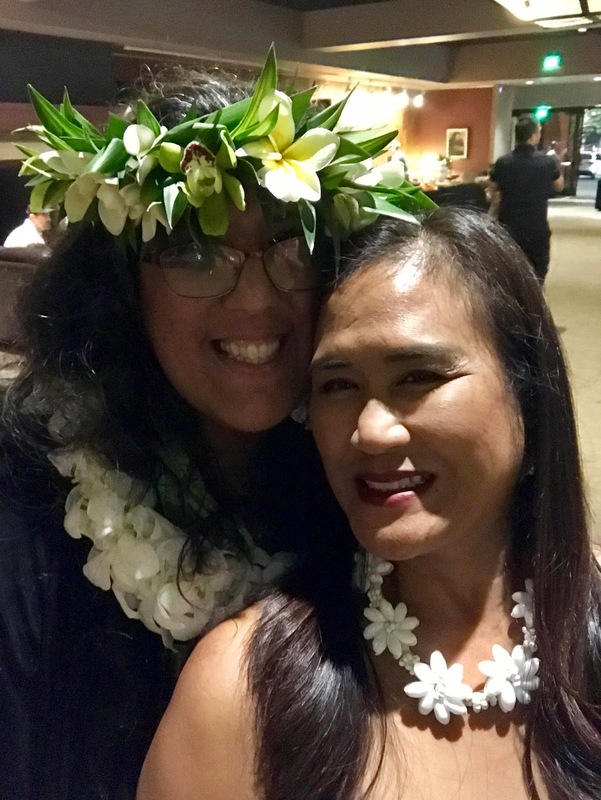 Sistah and Kumu Hula Tiana Price and me. Kumu Hula Tiana Price and Uncle Kamaka Brown singing and dancing it up! Daughter-Mom duo Leilani and Tiana, and me.